I’ll never forget the day that I realized just how real my blind spots were. If you would have asked me before that day whether or not I thought that I had blind spots I would have quickly answered, “Of course! Everyone has blind spots.” But on this day I realized that there were things about me of which I was completely unaware, while others saw them quite clearly. Encountering that reality freaked me out. I rushed home that day and begged my wife to tell me any blind spots that she could see in my life. My paranoia, in turn, kind of freaked her out (we had been married less than a year), and she was unable to think of anything to tell me in such a moment. So, we both had to simply sit in the midst of the fact that we have blind spots, and we have no idea what they are. Ever since that day I have been intrigued with all forms of blind spots, deceptions, and lies we tell ourselves. One of the biblical examples of deception that I find interesting is in the little letter to the church at Laodicea in Asia Minor. The church in Laodicea received the seventh and final letter in the book of Revelation. The nature of the message is a strong critique. Unlike most of the other letters Jesus offers them no commendation. However, hope is given, because God is still offering them an opportunity to be restored to a proper relationship with Him. The first thing that the Lord shares with the church is, “I know your deeds, that you are neither cold nor hot. I wish you were one or the other! So, because you are lukewarm—neither hot nor cold—I am about to spit you out of my mouth” (Revelation 3:15-16). In our modern vernacular the idea of being “lukewarm” carries connotations of indifference, lacking enthusiasm, or even lacking conviction. Within such a framework we understand that being “hot” is to be fully committed, and being “cold” is to fully reject. Thus, we tend to believe that the Lord is saying something along these lines, “I want you to be fully committed, but I would rather you go ahead and reject me than to remain undecided.” However, it is unlikely that the Laodiceans would have interpreted this message in that same way. Therefore, it is unlikely that this interpretation accurately reflects what is being said. Instead, the Laodiceans most likely interpreted this message in light of two different types of water springs that surrounded the city. Laodicea was surrounded by both hot and cold springs. In the nearby city of Colossae the cold spring water was known for its purity. Similarly, the nearby city of Hierapolis was famous for hot springs with known medicinal properties. In contrast to the waters of these two cities, Laodicea had an aqueduct that brought in water from hot mineral springs that were five miles south of the city. By the time the water reached the city the temperature was neither hot nor cold, but tepid or lukewarm. Heating and cooling water was a luxury in the first century that we take for granted today, but the Laodiceans were well aware of how inferior their water supply was in comparison to their neighbors. Yet, the message was not about inferiority. Instead, the message was about the realities of drifting away from the source. Cold water stays cold as long as it is close to the spring, and the same is true of hot water. But if you put either water in an aqueduct and send it five miles down the road it becomes distasteful, perhaps even useless. It was a strong message to begin with, but the Lord soon grows even stronger in His message to the Laodiceans. Evidently it was not just that the Laodiceans were in bad shape. It was not even that they were in bad shape but did not know it. The situation was that they were in bad shape, but they believed that they were in great shape. They were not merely blind to the negative aspects of their spiritual state, they were deceived to believe that things were completely opposite of reality. This becomes painfully clear in the next two verses. The Lord notes that the Laodiceans have developed a mentality of independence. He says that they are saying to themselves, “I am rich; I have acquired wealth and do not need a thing” (v. 17). Again, the irony is not just that they are wrong about their misplaced sense of independence and strength. It is that they are in fact one of the weakest of all the churches, the very opposite of what they believe about themselves. The Lord uses five words to describe their actual spiritual state: wretched, pitiful, poor, blind and naked. The first word, wretched, is a very strong one. It describes a person with sever side-effects from a continual onslaught. It is a person who has been so beaten-down that they will never be the same again. Laodicea was home to a leading medical school, and this picture of a devastating medical condition would have been a vivid one for the Laodiceans. The second word is normally translated as miserable. Again, the Greek word here is probably stronger than our English translation. We will often describe minor inconveniences such as colds and sinus infections with the words, “I feel miserable.” This word more literally means “most pitied.” That is, if you lined everyone up, you would pity these people above everyone else, because the state of their existence is so disturbing. Having made a strong point with the first two words, the last three words are joined together in a more specific description of how the Lord sees the Laodiceans. They are poor, blind and naked. 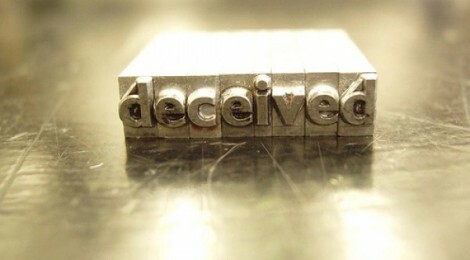 By this point it should be obvious to anyone who reads or hears the letter that the Laodiceans were deceived. They believed that they were completely self-dependent, when in fact as people who were poor, blind and naked they were the most dependent of all. Despite this news, which would have undoubtedly been shocking to the Laodiceans, the Lord amazingly offers complete mercy and grace. In so doing he addresses all three realities of their spiritual state. First, since they are poor He shows them that in Him they can have true riches. He says, “I counsel you to buy gold from me that has been refined in the fire, so you can become rich” (v. 18a). Second, since they are naked He shows them that in Him their shame can be completely covered, “…and white clothes to wear, so you can cover your shameful nakedness” (v. 18b). Third, since they are blind in seeing the truth about their condition, He shows them that in Him they have their sight restored. He says, “…and salve to put on your eyes, so you can see” (v. 18c). This last reference probably stung a little bit more, for Laodicea’s medical school was known for a famous ophthalmologist who practiced there and successfully treated many eye problems with his famous eye ointments. Finally, the Lord ends His harsh critique of the Laodiceans with a picture that is at the same time shocking, and full of hope. That is, the Lord is standing at the door of His own church knocking and waiting until they let Him in, “Here I am! I stand at the door and knock. If anyone hears my voice and opens the door, I will come in and eat with that person, and they with me” (Revelation 3:20-21). It is a heartbreaking picture, Jesus standing on the outside and knocking on the door of His own church, the people who claim to love Him so. At the same time it is a picture of hope, for in it is an open invitation to anyone who will respond to Him. He has done everything that is needed for the relationship to be repaired, and despite how bad the situation has become He has everything that any of us need in order to be restored. Only one question remains: How will you respond?